SimonWillis.net: Ever Had The Feeling You're Being Watched? Ever Had The Feeling You're Being Watched? Monday was one of those amazing Autumn days whose rarity makes them all the more special. Crystal clear and perfect light, with a chill in the air hinting at the winter to come. 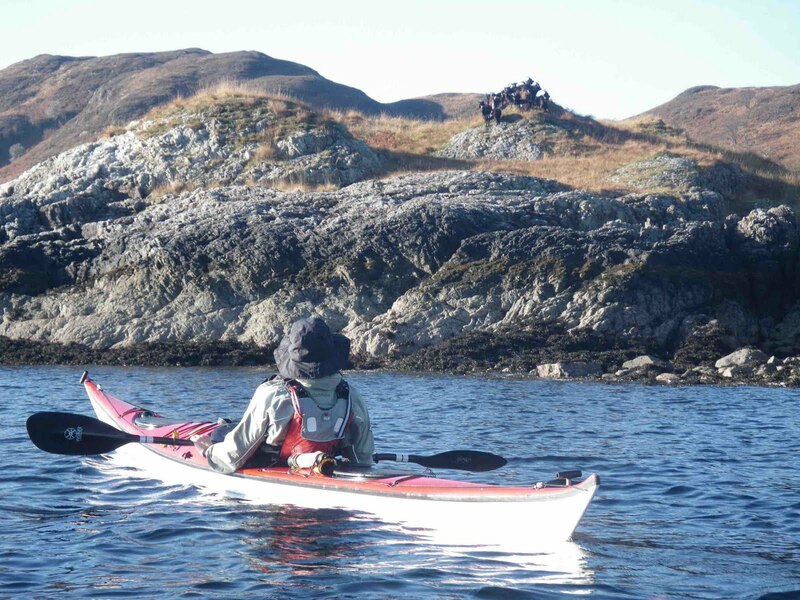 After a busy few weeks we seized the opportunity for three hours of gentle, relaxing sea kayaking on Loch Linnhe, a short drive from our cottage. The area is close to Ardgour, a gaelic place name. 'Ard' means point. 'Gour' means goat. We're usually cycling and smell them before we see them. 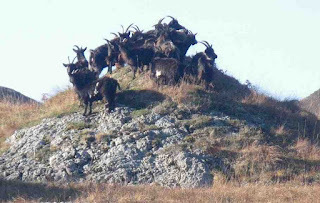 The wild goats of this area (at least I think they're wild) emit an odour that any devotees of French goat's cheese will instantly recognise. This time we saw them first. It looked like they were playing 'king of the castle' clambering onto one particular little hill. They were moving to take advantage of the sun, appreciating as we were the rarity of the day.